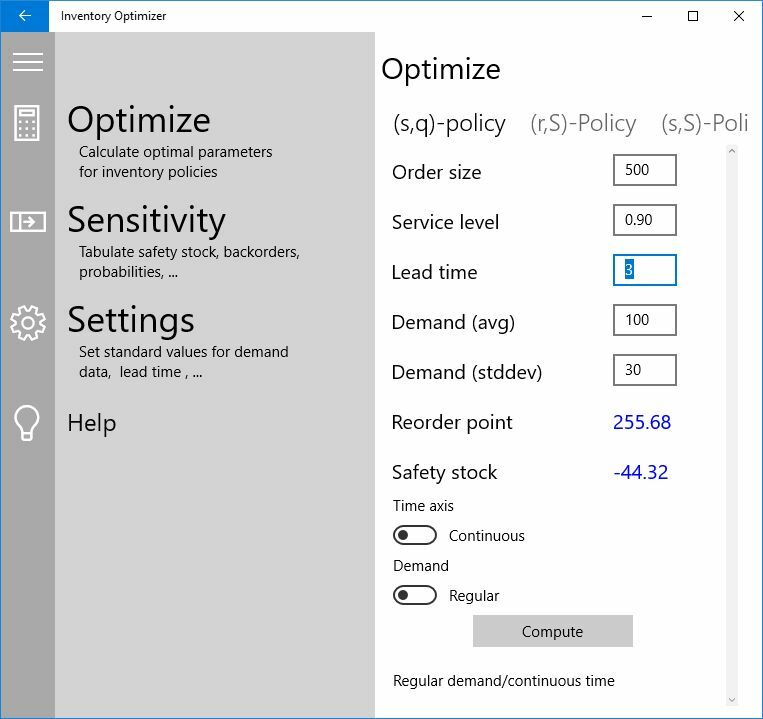 Compute the optimum safety stock in an (s,q) inventory policy (reorder point - reorder quantity policy) (with continuous as well as discrete time axis). 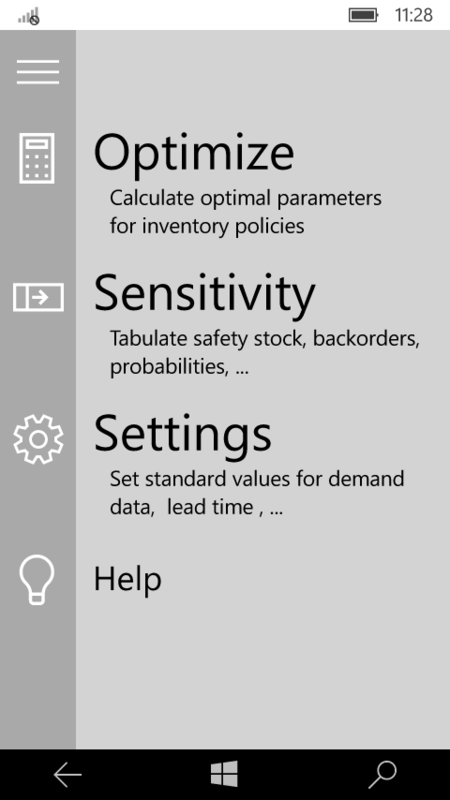 Compute the optimum safety stock in an (r,S) inventory policy (reorder cycle - order-up-to level policy). Compute the optimum safety stock in an (s,S) inventory policy (reorder point - order-up-to level policy). Consider regular demand as well as erratic demand. Perform sensitivity analysis: play with backorders or safety stock, compute resulting service level. The implemented algorithms use the results from stochastic inventory theory. 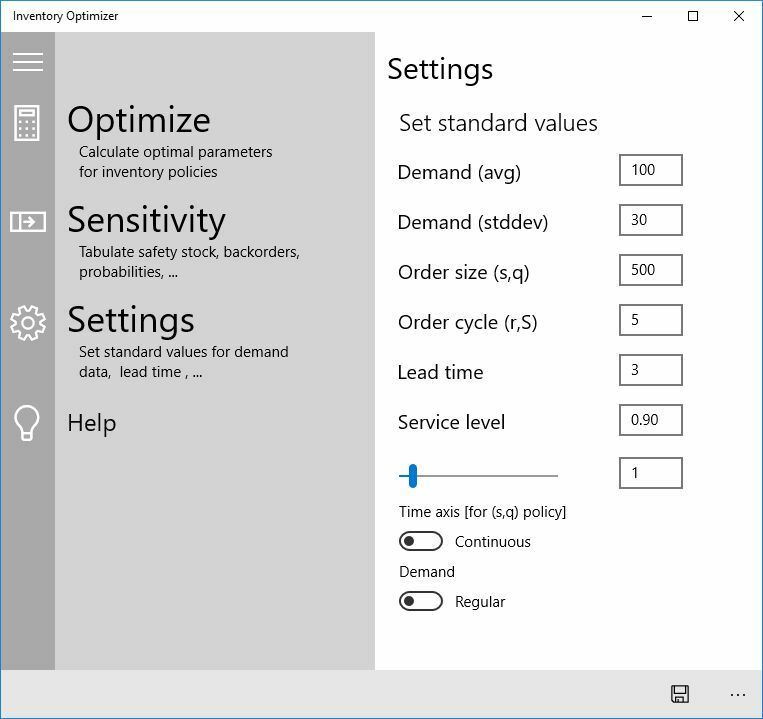 Inventory Optimizer avoids several modeling errors of the methods currently applied in many software systems for Supply Chain Management and Advanced Planning used in industry. The typical user of the Inventory Optimizer is an inventory planner or a consultant who needs the correct results for a given planning situation at his fingertips.